The University of New South Wales is working with Tamworth-based company H2Store to develop renewable hydrogen storage solutions it says could rival lithium-ion battery technology – and within a couple of years. The ambitious project – which includes the development of a 5kWh home solar storage system – last week received backing of $3.5 million from green investment outfit Providence Asset Group. The UNSW team said the money from Providence Asset Group would be be used to deliver phase one of the four-stage project, including the creation of a home hydrogen storage prototype. The team hopes that will ready by the end of this year, and a product on the market late in 2020. This would be followed by a “ramped up” 15kWh commercial-scale storage system, they said. “The biggest challenge with hydrogen is it is very low density, and it needs big storage tanks, which makes transporting it not viable,” H2Store’s Llewellyn Owens told the Northern Daily Leader last week. Is the onsite generation and storage of hydrogen currently a viable option to consider for energy storage, or do we realistically need to look at existing technologies? 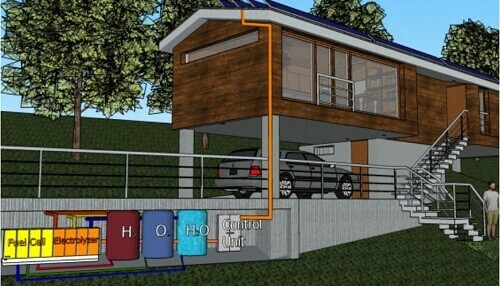 At this stage we are not aware of any residential or commercial uses of hydrogen as storage for a Solar System. Definitely something to wait for at this stage. You have a number of storage technologies available for you on an off grid project. Lithium, Lead Acid and AGM (Gel) are the most common and each offer advantages/disadvantages depending on the expected usage of the system.